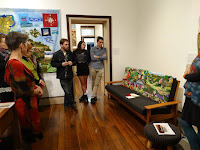 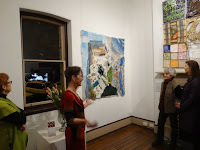 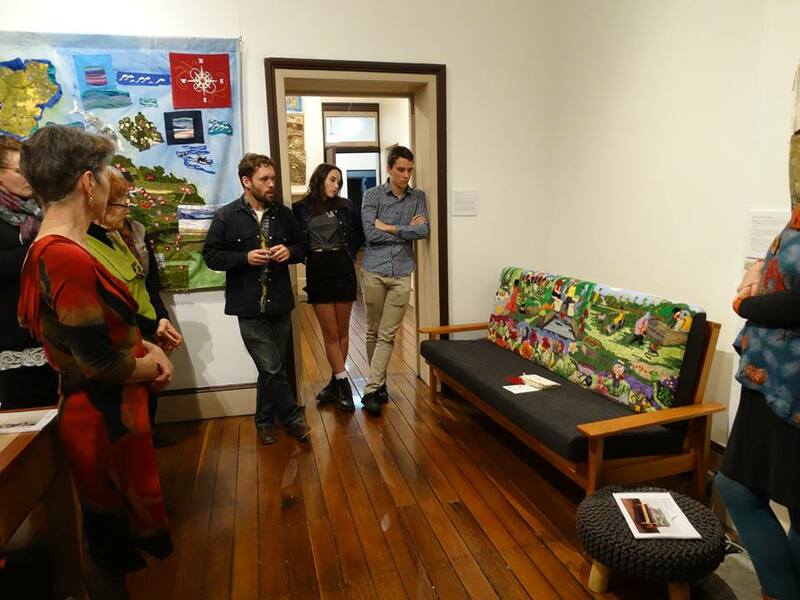 July 2017 - Two maps by artists from Scotland and England are shown together with Australian work and a beautiful Newcastle piece made by Newcastle Textile group and also an amazing tapestry couch created at 'The Friendship Garden' in Auburn led by Sayd Shah Mahmood, Tasman Munro and Jane Theau. 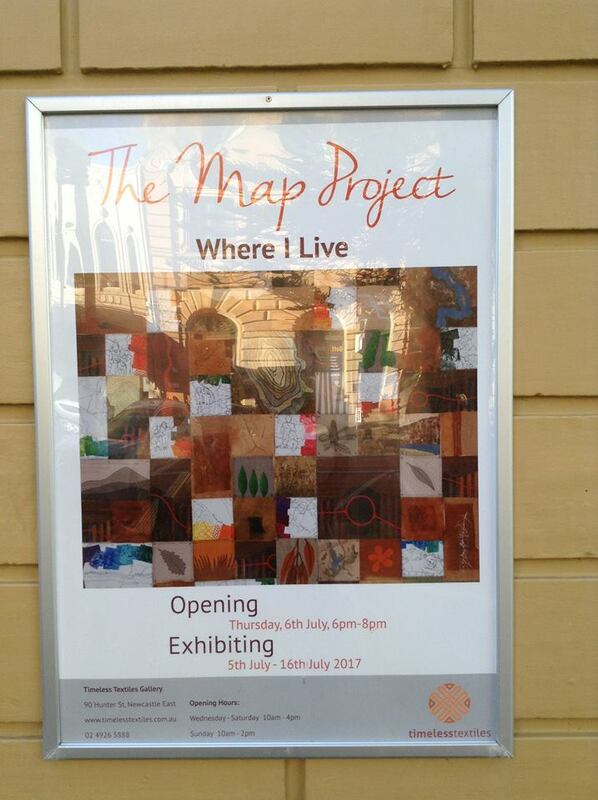 More than 200 refugees and people seeking asylum in Australia participated in this project. 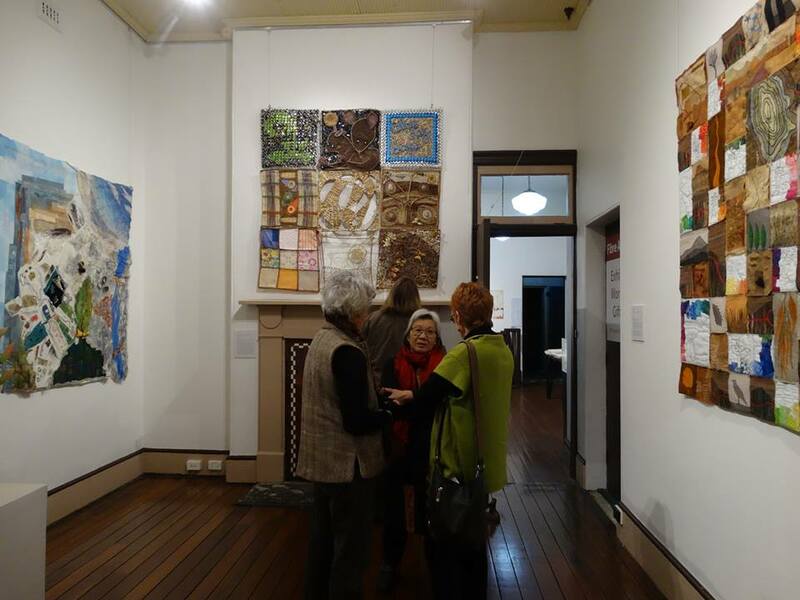 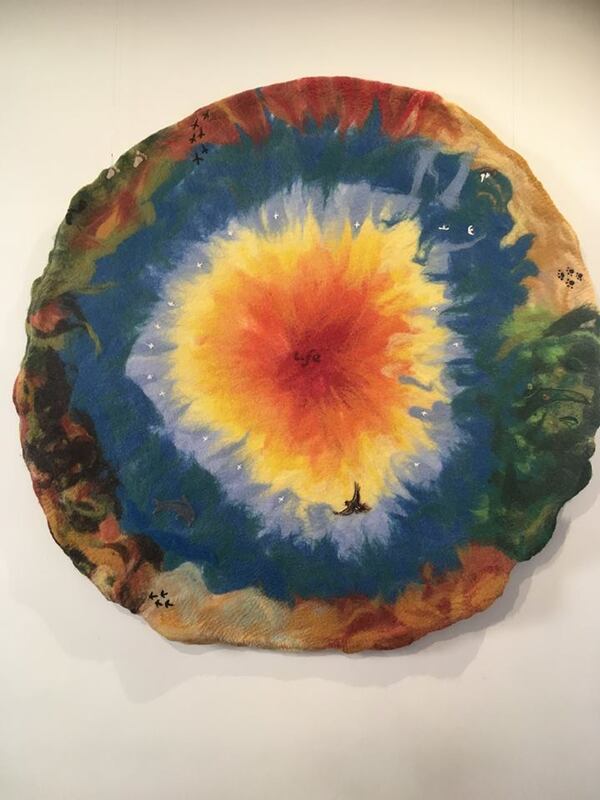 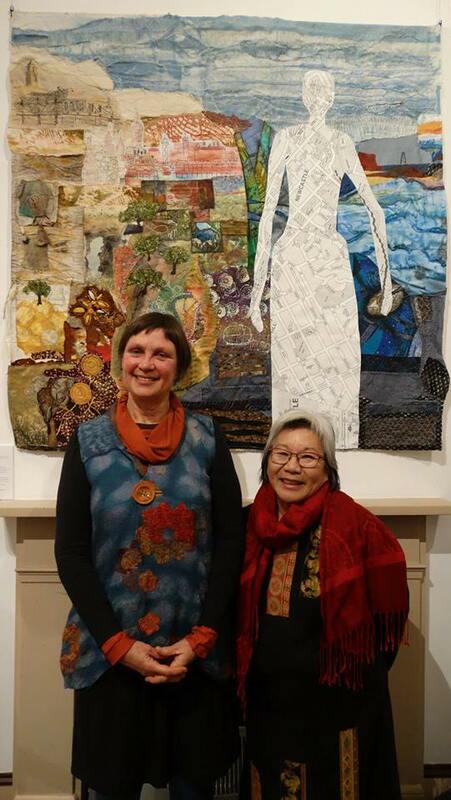 Felted Dreamscape made at the 'Life and Living conference at Easter was also in the exhibition as well as Quakers Journey in the Hunter 1838 and selected pieces made by a range of textile groups in the ACT for 'The Map Project' at Belconnen's 50th Birthday celebrations last year.